Use the form below to contact accommodation Hotel Nayara directly. Bed size:1 Bedroom. 1 King (or) 2 Queen. 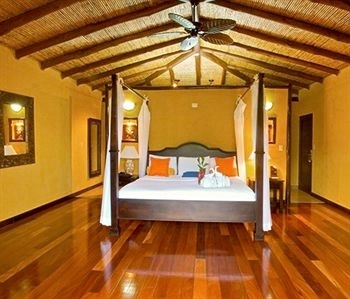 Nayara Hotel & Gardens is a luxury boutique hotel located in the area of the Arenal Volcano National Park that is widely recognized for providing luxurious accommodations and premium amenities. A 5-star member of Small Luxury Hotels of the World, Nayara has been acclaimed as one of the most romantic places in the world. 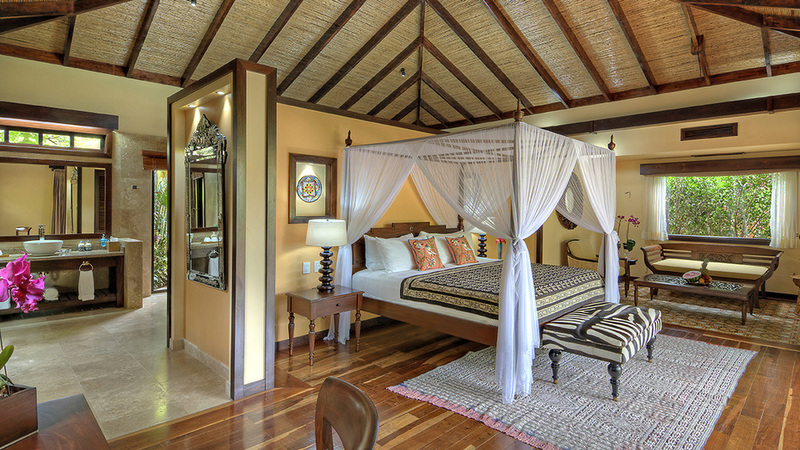 Our heartfelt hospitality, impeccable service, fine cuisine, outstanding spa, amazing excursions and eco-experiences make Nayara the premier destination in Costa Rica. 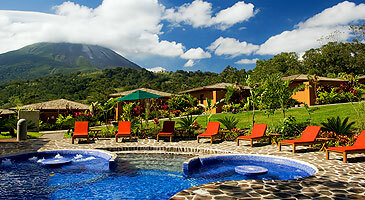 La Fortuna’s history is intimately connected with the Arenal Volcano. When the volcano violently erupted on the morning of July 29th, 1968, it spewed ash, rocks and gas for three consecutive days. As the smoke cleared, the villages of Tabacon, Pueblo Nuevo, and San Luis were found buried under the debris, with 87 people dead. Out of this tragedy, La Fortuna (The Fortune) was born as the central town in the Arenal Volcano area. La Fortuna is situated 16 miles (26 km) from Ciudad Quesada and 75 miles (120 km) from San José. The drive from San José takes around 2.5 to 3 hours. There are, however, several side trips along the way that are worth exploring, including the Poás Volcano and La Paz Waterfall Gardens (see our Driving Map to Arenal). 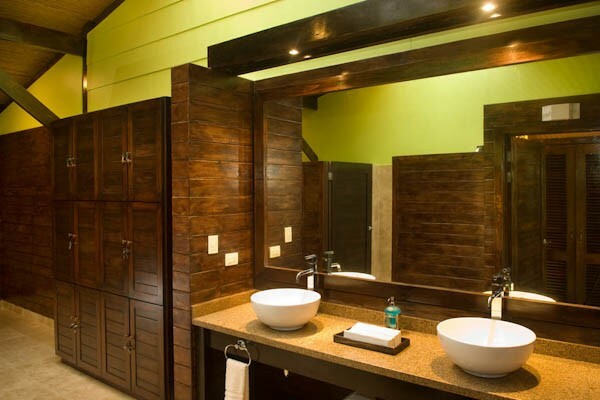 Within La Fortuna there are many hotels to choose from, most of which are conveniently located near restaurants, internet cafes and the town center. The hotels that are outside of the town’s boundaries are more expensive, but they offer great volcano views and more amenities than those near the center of town. 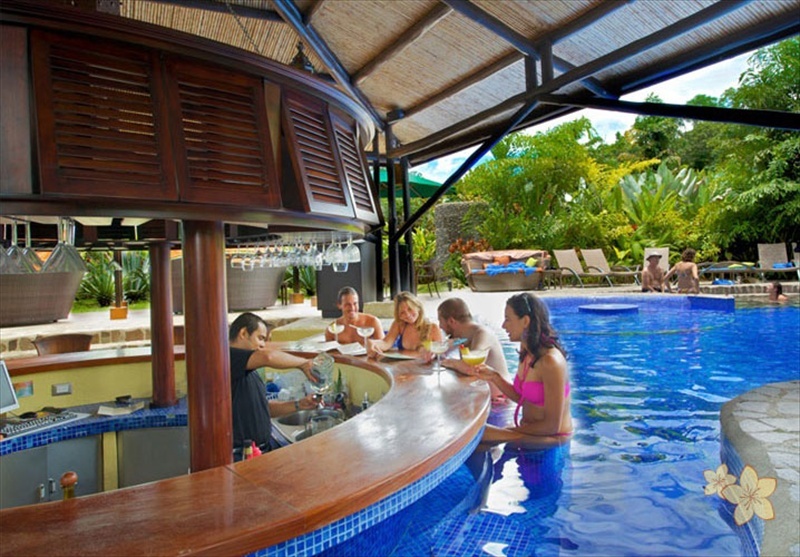 La Fortuna has a number of good restaurants and bars, as well as banks, grocery stores, pharmacies, gift shops and more. The La Fortuna and Arenal area has a wide range of activities, including horseback riding, whitewater rafting, waterfall rappelling, hiking, canopy tours, cave explorations, and more. 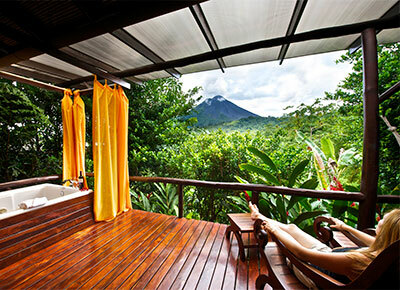 Visitors will sure enjoy relaxing at the La Fortuna Waterfall or at the area’s various hot springs. Arenal is the adventure center of Costa Rica, and as such it’s difficult to get the full experience in less than three days.